Bonjour! At Barwic Parade the children learn French through activities involving listening to sounds, speaking with the correct pronunciation and intonation, reading, writing and cultural understanding. Barwic Parade follows the North Yorkshire scheme which is enhanced by a variety of other interactive activities to make the learning of a foreign language fun. Our teaching staff encourage the children to ask and answer questions to clarify and enhance their learning in French. The children use context and clues to interpret meaning and to enjoy trying out their skills in a new language. Our children have been involved in a whole school French day, a visit to a French Theatre event, and the visit of a French Chef. On 23rd March 2018 - 26th March 2018, some of our Year 5 children enjoyed their first foreign trip. They visited the Chateau du Broutel, Rue, France for three nights. The children experienced a French market, chocolate factory, sealife centre and the beach. All the children had a wonderful time and learnt lots about another culture. 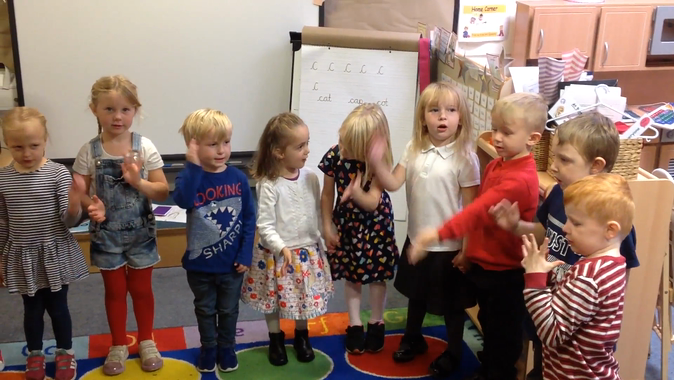 The children in Reception JA have been learning a new French song. Check out their amazing singing! To learn more about the expected progress made throughout Key Stage 2 please take a look at the attached document.